PLDT SME Nation’s pioneering social media crowd sourcing search for the new generation of entrepreneurs is all set to welcome the new batch of digitally-driven industry game-changers. 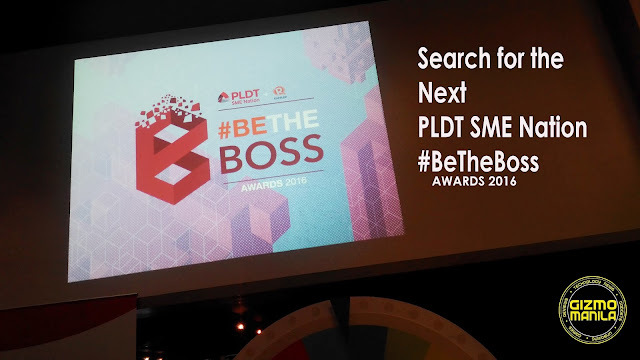 The #BeTheBoss, in partnership with Rappler, is back on its 2nd year as it continues on its mission to recognize excellence in technology innovation and digital integration. Online nomination are currently ongoing until July 10, 2016 at Rappler.com/BeTheBoss. A panel of judges will short list the nominations and choose the top 3 finalist for each category. The final phase will be the online public voting which will comprise of 40% of the finalist’ score. Last year’s 1st batch of winners and finalist, narrowed down from 500 nominations from around the country, flew to Silicon Valley for a unique digital experience. Boss of E-Commerce –Kim Lato of Kimstore. Boss for Customer Services – Jason Magbanua, Top Wedding Photo/Videographer. Boss of Customer Service & queuing solutions – Chino Atilano, TimeFree Innovation founder. Boss of Social Responsibility – Kristine Reyes-Lopez, founder of Messy Bessy. Boss for Mobile Readiness & Mobile App – Carlo Calimon, MobKard founder. This year’s winners will also get the opportunity to experience Silicon Valley to broaden their horizons and globalize their business. For more details about the PLDT SME Nation’s #BeTheBoss, visit Rappler.com/BeTheBoss.